The very first episode in a new series dedicated to the funny, silly, and exceptionally embarrassing moments of Halo 4. 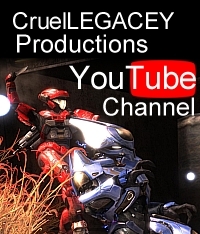 Click the links below for more great Halo videos from CruelLEGACEY Productions! This entry was posted in Fails of Requiem, Halo 4, Video and tagged fails of requiem, halo 4. Bookmark the permalink.